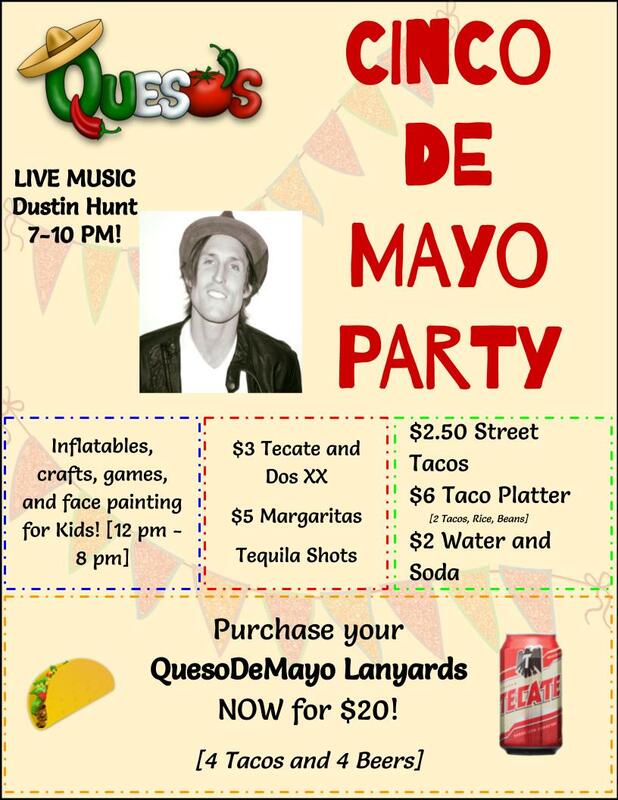 Celebrate Cinco de Mayo at Queso’s block party! Day-long events for the entire family capped off with a live concert featuring Dustin Hunt at 7 PM. Pre-sale lanyards available for purchase at all 3 locations (Queso’s, Calico Joe’s, and El Nino’s) for just $20. The lanyards get you four tacos, four beers, and all the fun you can handle!